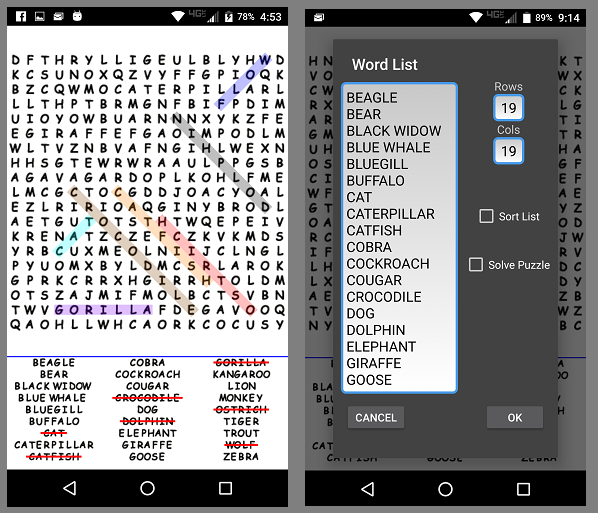 The WordFind app is a word find puzzle that scrambles a list of words that can be solved. The list of words can be customized by the player or randomly computer generated. The number of rows and columns can be customized as well. Each puzzle can be saved and loaded and scrambled as many times as desired and with the timer feature there is a race against time. A great way to pass the time while waiting for an event!